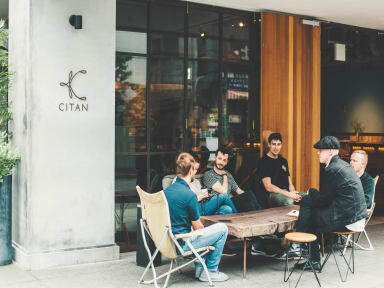 CITAN Hostel i Tokyo, Japan: Reservér nu! Even in these modern days, it still offers you a great access to the multiple lines, necessary to fully enjoy the metropolitan life as well as the good old Shitamachi area in Tokyo. 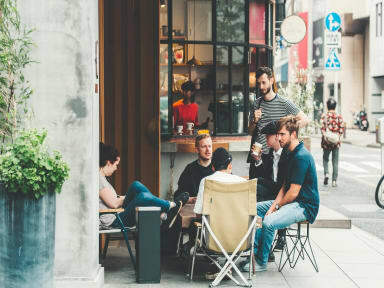 Our hostel has its original coffee shop, Berth Coffee on the first floor, and the bar and dining restaurant on the basement floor. Just an amazing place! The atmosphere there is just fantastic!